Bill O’Reilly continued his crusade against the #BlackLivesMatter movement on Thursday, cutting the microphone of one of its supporters and invoking the Nazis in comparison to the civil rights group. O’Reilly expressed his dismay that the Democratic Party would host a candidates forum sponsored by Black Lives Matter. 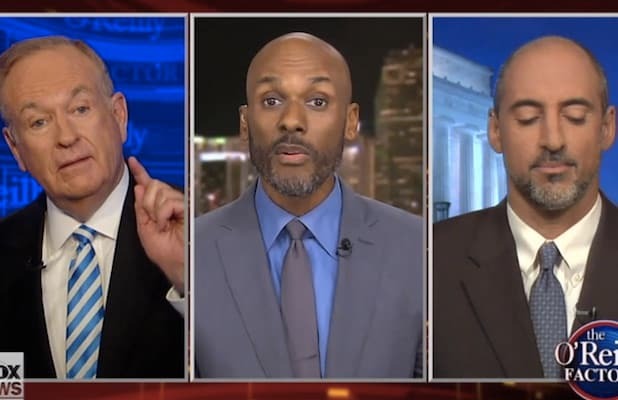 Keith Boykin, an advocate for the group, disputed O’Reilly’s notion that members of the group want cops targeted and killed. The two started talking over one another, causing O’Reilly to threaten him. “You’re either going to stop talking or I’m going to cut your mic off,” he said. O’Reilly then followed through, cutting his microphone and moving on to another guest, saying #BlackLivesMatter is a radical group on the same level as Nazis.